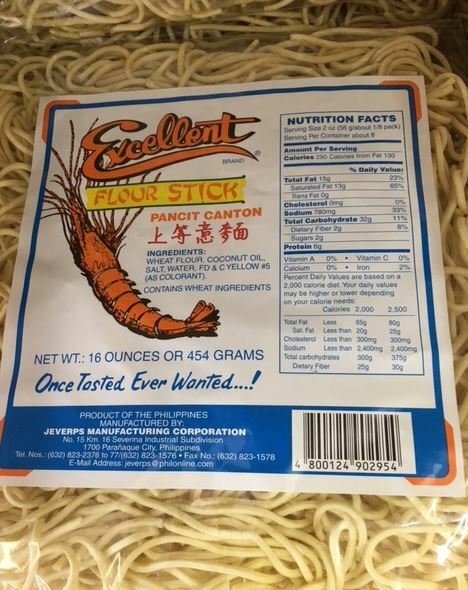 Excellent - Flour Stick – Pancit Canton: Net Wt: 16 ounces or 454 grams – Ingredients: Wheat flour, coconut oil, salt, water, FD & C yellow #5 (as colorant). Contains wheat indredients. Once tasted ever wanted! Product of Philippines.